Great design leads to great performance. The BrewBar started as a concept to open up the café counter and allow customers to experience the barista’s skills and the theatre of coffee making. The true appreciation comes from watching a skilled barista use this machine to it’s full potential. The design enables a workflow that allows the barista to produce a volume that cannot be achieved on conventional machines. Early trials suggest barista output increased by at least 20%. From catching up on your life, to spending time with the people you love, a great coffee is a precious moment just for you. The BrewBar creates a better experience. 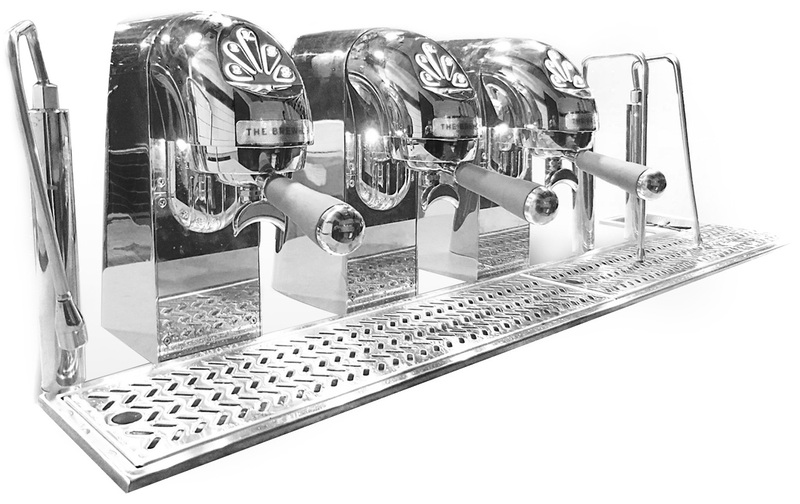 The BrewBar is designed to fit into your cafe, restaurant or bar, and can be configured for each application. The BrewBar can be configured in one, two, three or four group options. For more information please fill out the form below. We would love to hear from you. © 2019 The BrewBar. Website :: Fish Tank Creative.